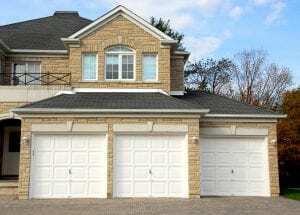 If you need a new garage door, the company that you can rely on for outstanding service and top-of-the-line products for your home in the Greensboro area of North Carolina is 31-W Insulation. We have been installing home improvement products of all kinds throughout the southeastern U.S. since 1972, and we hold an A+ rating with the Better Business Bureau as a reflection of our commitment to total customer satisfaction. Plus, all of our installers are our own trusted employees, not subcontractors, and they are proud to uphold our high standards of excellence in customer service and workmanship. Additionally, you’ll have a plethora of options for customizing your new door. Choose from a wide array of attractive colors, window designs, and decorative hardware to achieve the look that best suits your aesthetic preferences. If you’d like to learn more about what makes us the top garage door company serving Greensboro, NC, homeowners, contact 31-W Insulation today.